There are currently 26,614 users on this website. To CCF , If your wondering why this coin looks like this ; probably a detector find or extreme environmental damage . To CCF! Just a Environmentally Damaged coin. It's Post Strike Damage ( PSD). 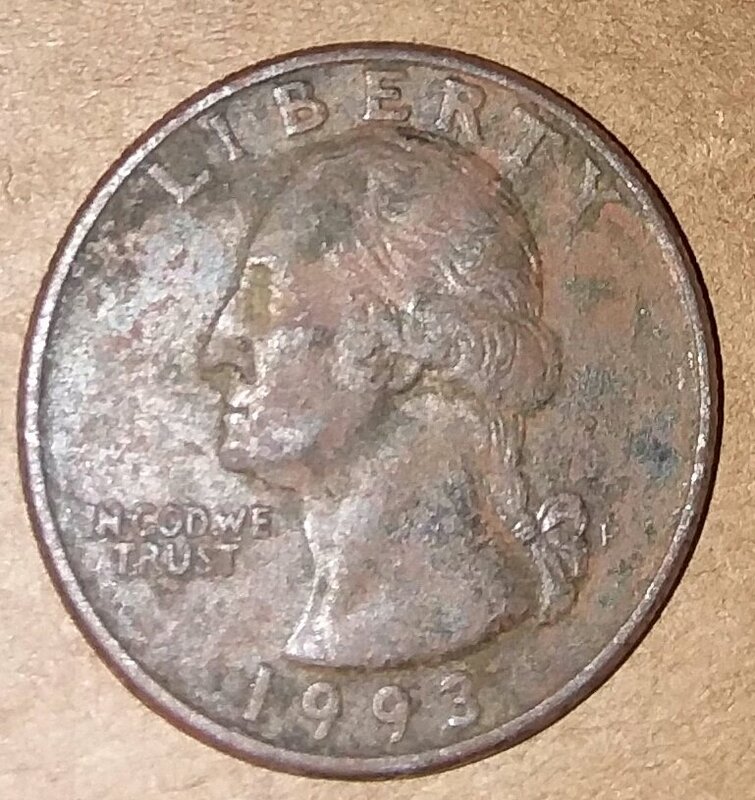 Not an error and only worth 25 cents exact. It didn't leave out of the U.S. Mint like that in any shape or form. @JN2T, first welcome to CCF. Second, yes the surface of this quarter has been toned. This one is a spender. to CCF and I agree with the others. It took 0.51 seconds to rattle this change.